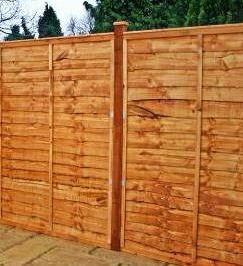 5ft Waney Edge Fencing Panels from Amazon. More visually jarring than a hedge, but it does provide instant screening. The most common ways in which we protect and define our homes and mark our boundaries is through the planting of a hedge or the construction of a fence unless of course we are lucky enough to be able to afford a lovely brick or old stone wall. There are advantages and disadvantages to each with regards to cost, visual appeal, and the time each takes to establish as the tables below highlight. A cherry laurel hedge; softer looking and more natural than a fence. A hedge is a great way to mark your boundary, providing privacy and security. A nice dense hedge like laurel is very difficult for trespassers to pass through. A hedge can act as a natural windbreak, but unlike a fence, it can withstand strong winds with no problems. The density of a hedge also makes it much better at reducing noise and filtering out pollution than a fence. Although hedges do need yearly maintenance they do last a lot longer than a wooden fence, and they are cheaper than a brick wall. One advantage that a fence has over a hedge is that you can establish privacy very quickly, however instant hedging is available. A good idea can be to combine the two. If you need to immediately secure and define your boundary then a temporary wire fence with a hedge growing along one side of it is one way to achieve this. Remember that the wire is there though when it comes to trimming the hedge. 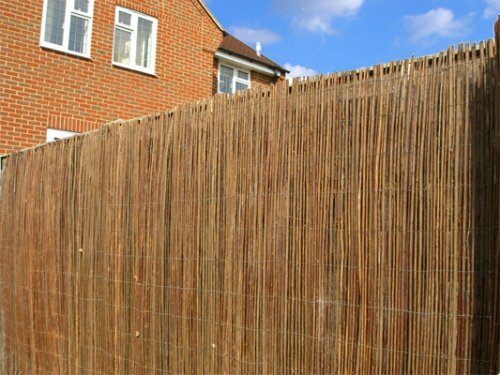 Willow garden screening, a great way to cover up a strong existing fence that looks a bit ugly. Cherry laurel, with its beautiful large evergreen leaves truly is the king of hedges. 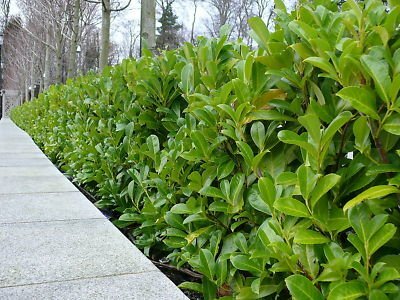 A great option for a hedge is the cherry laurel. 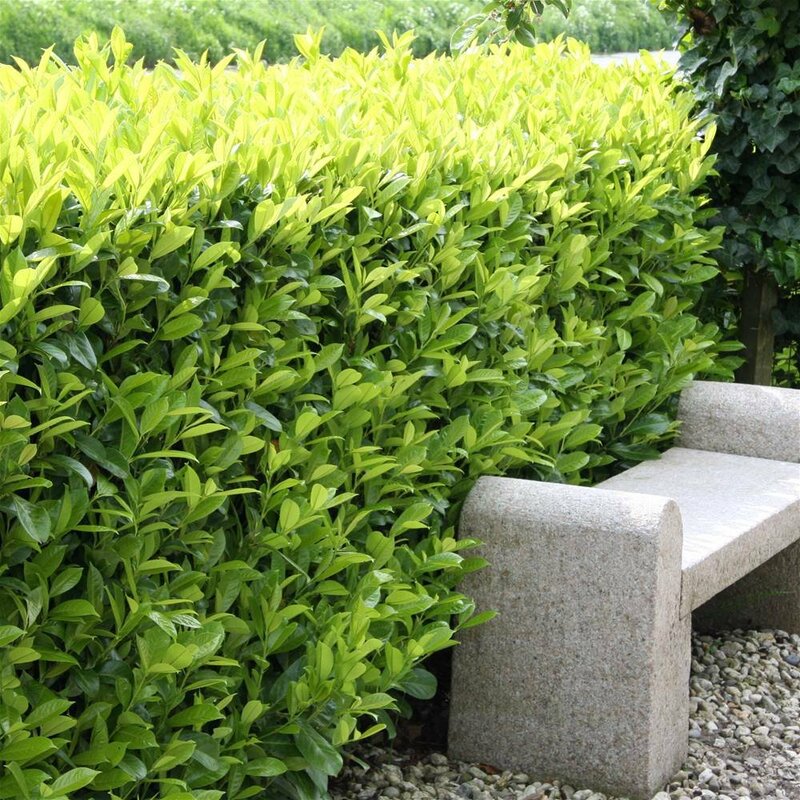 Laurel hedging was a particular favourite of the Victorians due to its density and hardiness. It makes a perfect organic wall, acting as a screen, a windbreak, and a haven for wildlife. It will require trimming only once a year. If left untrimmed it will grow approximately 60cm a year making it ideal to plant young. The Bay tree, Laurus nobilis, is a very large tree than can grow to an ultimate height between 8-12 metres, but thankfully for the home gardener bay is also a slow-growing tree. It can take longer than the average human-lifespan to reach such a size. Bay is very amenable to pruning and is often used as topiary. Most notably the classic Bay Standard or Lollipop tree; a round ball of foliage upon a straight trunk. 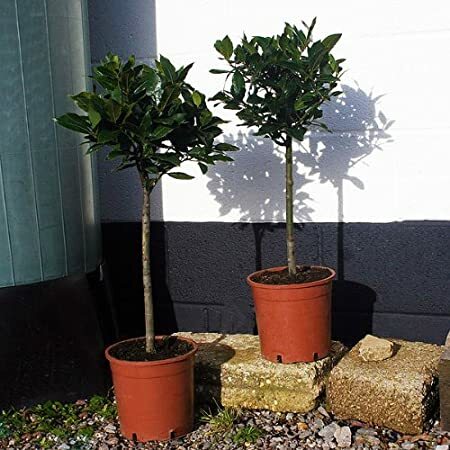 With regular pruning you can keep a Bay tree in the same pot for years. It is easy to prune a bay tree when you use topiary shears. Removing top growth will encourage a shorter bushier plant. This is the strategy you should follow if you want a nice thick bush. By removing side growth you will encourage a taller thinner plant. A lollipop tree can be crafted from a young seedling by removing the suckers and any leaves or side branches along the stem until the leader reaches the height you would like the Bay tree to be. At that point cut the stem. Several new branches will grow which in turn can be cut to produce more branches. A strong bushy head is formed by pinching out the growing tips on all side shoots regularly until the desired shape is formed. Give the bay plenty of nutrients, sunlight, heat, and water, as it is important to get the plant to reach the desired height as fast as possible. Use a cane to keep the stem straight. A nicely proportioned and healthy standard will have a trunk twice as high as the head. Top Tip: Pull the suckers off carefully and they should come with a bit of root. These can work well as cuttings! The leaves of the Bay Laurel (Laurus nobilis) are used extensively for culinary purposes, particularly in Mediterranean cuisine. They are also used in many French dishes and even in Thai and Arab-influenced cooking. Bay leaves can be used to flavour soups, stews, pasta dishes, meats, sea food and vegetable dishes. Bay leaves are also an essential part of the classic bouquet garni, along with parsley and thyme. They are used both fresh and dried, for their distinctive flavor and fragrance. Dried or Fresh Bay Leaves? There is a difference in flavour between a fresh bay leaf and a dry bay leaf. The fresh bay leaf is best used for a short cooking dish with slightly delicate flavours like sea food. The dried bay leaf has a flavour that readily infuses into the dish. The dried bay leaf has a stronger flavour but loses a little bit of the bitterness of a fresh bay leaf. Dried bay leaves can be used and stored for up to a year. Pick the undamaged healhty leaves gently from the plant once the morning dew has evaporated, ideally during the middle of summer, and separate them. The largest leaves are the most aromatic and will have the strongest flavour to them. Leave on a paper towel in a well ventilated are that is warm and dry until all the moisture from the leaves have evaporated. Flip them over after a week or so to ensure each side dries evenly. Check for dark green spots or softness. This is a sign of moisture still in the leaves and they may need longer to dry out. Store dried bay leaves in an airtight container in a cool, dry place. 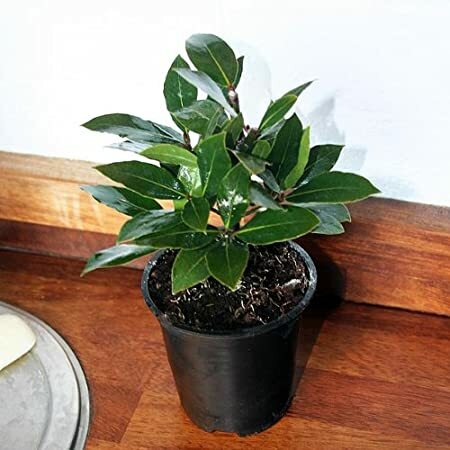 Whilst Cherry Laurel and some members of the laurel family are poisonous to both humans and livestock, the bay leaf is not. Bay leaves can be eaten without risk of toxicity, however dried bay leaves are very sharp, stiff, and abrasive, even after cooking, and can cause choking and internal organ damage. Because of this they are typically removed from dishes before serving, or simply used as a garnish. Ground bay leaves can be ingested safely.